As a southern lady from deep in the heart of Texas, Draper James fulfilled all of my southern dreams. The storefronts, the quippy sayings, and the clothes – the clothes y’all! But it was disheartening that I couldn’t even dream of squeezing into something – so you settle. You grab a tote, or a pair of cocktail items because you want to feel included. Little did I know years later I would see Reese Witherspoon in my inbox on an Eloquii email. As if Eloquii hasn’t already paved the way for inclusive, accessible fashion – again, let me repeat, fashion – they broke the mold with this fast-selling, already beloved collaboration. From the ginghams and brights, to a pair of jeans with ‘Howdy’ on the bum – this 12-26 collection is made for every. Body. 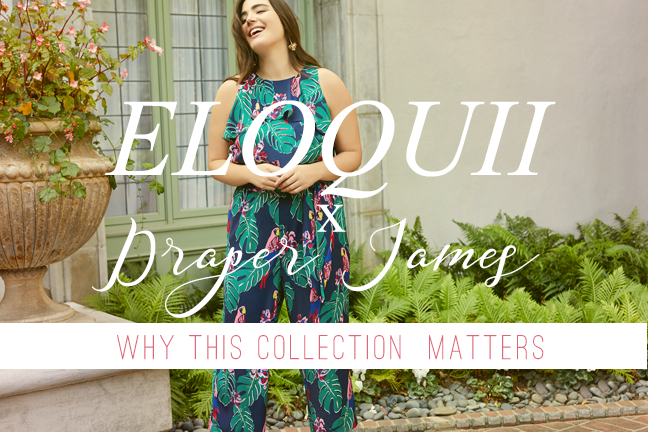 The very existence of two brands like Eloquii and Draper James opens the door for more. This collection in a week has completely sold out at full-price – The plus size market is lucrative, and it’s a market so overwhelmingly underrepresented. So what are you waiting for? I’ve listed a few of my favorites below, but you can shop the entire collection here. So what y’all waiting for? Grab your favorites before this collection is snatched up!